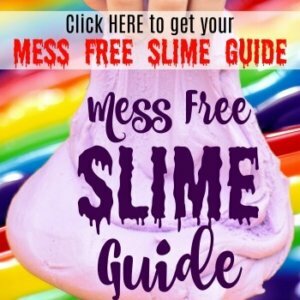 As an Amazon Associate I earn from qualifying purchases from links in this post. One of my favorite things to do is make fun treats for the kids. This is one they’re going to love because it’s a monster in disguise. He looks all sweet and cuddly with his heart ears and squiggly pink fur. But…he’s wearing a mustache for a disguise because he’s actually the Love Bug Monster! 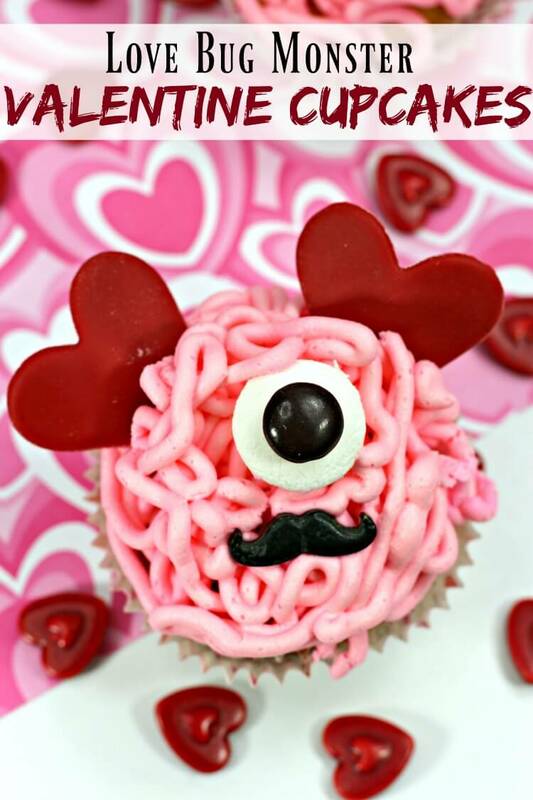 Decorating your Love Bug Monster cupcakes is pretty easy. If you’re scared of frosting a cupcake, this is your jam! You literally just squiggle the frosting on with either a #4 tip or the grass tip. I myself prefer the grass tip as it squiggles more lines faster. The #4 tip will just squiggle one line at a time. Next, you’ll punch out the marshmallow eyes and add the candy “eye” on top. 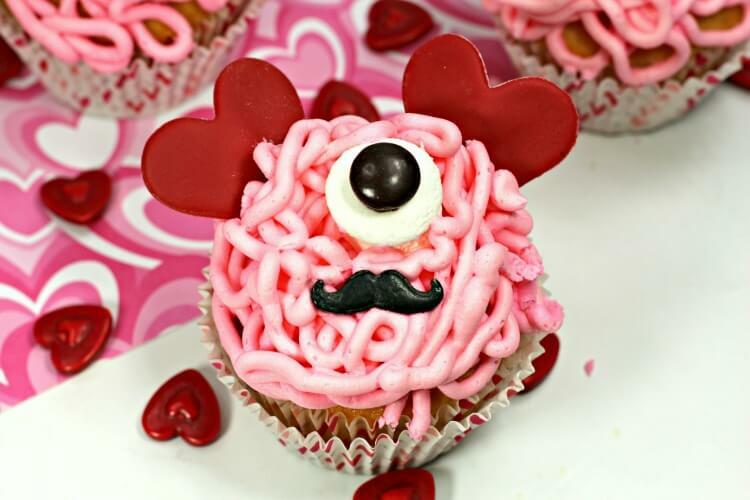 Then, finish off with a mustache and the fondant heart ears. These are so easy, the kids can totally help decorate them. Or, they could even make them at the Valentine party if you need a craft idea! 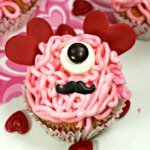 These Valentine cupcakes are just adorable made to look like Love Bug Monsters! Preheat oven to 350 F degrees and line cupcake pan with the liners. Using a hand mixer, beat together the cake mix, butter, milk, and vanilla and mix until combined. Sprinkle the 1/2 C of powdered sugar and roll the red fondant out to 1/8th inch thick. Cut out 44 hearts for the ears. Using the circle cookie cutter, cut out 22 rounds from the marshmallows for the eyes. Pipe a dollop of chocolate frosting onto the center of the marshmallow. Place a M&M onto the frosting. In a standing mixer, combine the butter, powder sugar, vanilla, and the heavy whipping cream. Mix on medium speed until stiff and creamy. If you still see powdery pebbles, add in 2 more tbsp heavy whipping cream. Continue to mix until stiff and creamy. Beat in a few drops of pink food coloring and mix until fully combined and frosting is a dark pink color. Scoop some frosting into each piping bag. Pipe squiggly lines all over the top of the cupcake. Place a “eye” in the center of the frosting. Please two red hearts into the top sides of the frosting for the ears. 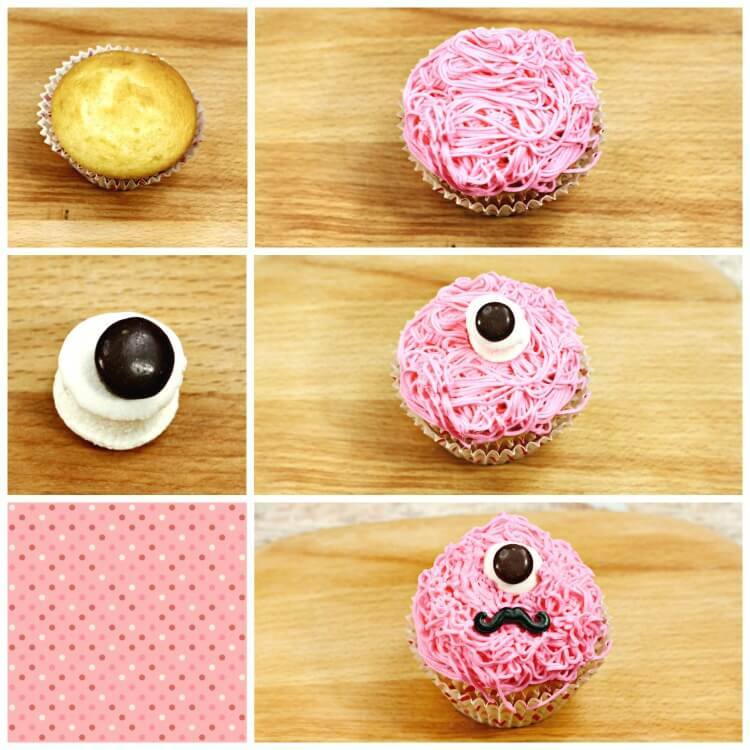 Place a mustache into the lower center of the frosting.